WWE SmackDown Live is going to have a very heavy show next week. A huge gauntlet match is set which could determine Kofi Kingston’s WrestleMania match. If Kofi can win then he will finally earn a WWE Title match in Vince McMahon’s eyes. WWE announced that the gauntlet match will kick off SmackDown Live this week. Those matches can get pretty long so it is a good idea to put this one up front. That way they know what segments might need to be shortened or cut later on. It could also be a big sign that Kofi Kingston’s WrestleMania storyline will get a major spotlight next week. The Miz will also get a chance to speak about his upcoming WrestleMania match against Shane McMahon. The confrontation in MetLife Stadium was set this week by Shane, but The Miz will have plenty to say about McMahon turning on him at WWE Fastlane in front of his hometown crowd. This is a pretty good start for SmackDown Live so far. We will just have to tune in and see what WWE ends up doing. 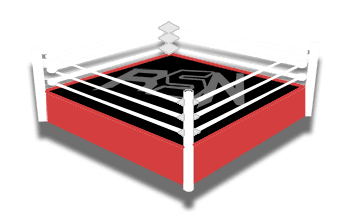 Keep checking back to Ringside News during the show for constant updates via our live coverage.